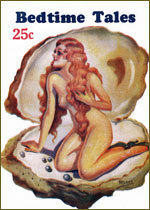 Featured below are 12 issues of the snappy, spicy, and 'girlie' varieties of semi-slick or pulp-paper magazines from the 1930s and 1940s. Their titles are 10 Story Book, Follies, Gay Life Stories, Ginger Stories, Hollywood Nights, La Paree, Night Life Tales, Pep Stories, Snappy, and Spicy Stories. Publishers represented by this group include Best, Ten Story, Les Boulevards, Consolidated, King, and D.M. Publishing Co. (Dover). Information listed at the right of each issue includes publication date, year established, publisher, 1-2 major editors, and an estimated total number of issues published. 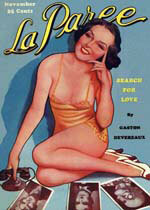 For Beau Collier's essay "Birth of the Girlie Pulps," click here. 10 Story Book | Est. 1901 | Ten Story | Ed., Harry Stephen Keeler | Total Issues: +/- 455. Bedtime Tales | Est. c. 1935 | Unknown | Ed., Anonymous | Total Issues: Unknown. Follies | Est. 1922 | Burten Publications | Ed., Jo Burten | Total Issues: Unknown. Gay Life Stories | Est. c. 1939 | Consolidated | Ed., Anonymous | Total Issues: Unknown. Ginger Stories | Est. 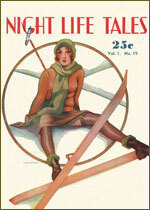 1928 | King; Nudeal | Ed., Natalie Messenger (1928-31) | Total Issues: 64. La Paree | Est. 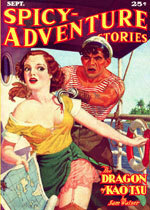 1930 | Irwin Publishing | Ed., Anonymous | Total Issues: 94. Night Life Tales | Est. c. 1930/ 39 | Unknown | Ed., Anonymous | Total Issues: Unknown. Pep Stories | Est. 1926 | King; DM | Ed., Natalie Messenger | Total Issues: 142. Snappy | Est. 1929 | Lowell; DM | Ed., Anonymous | Total Issues: +/- 105. Spicy Adventure Stories | Est. 1934 | Culture Pub. 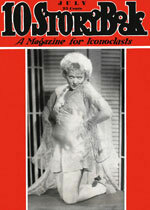 | Ed., Kenneth W. Hutchinson | Total Issues: 117. Spicy Stories | Est. 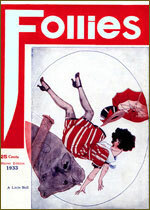 1928 | DM Publishing Co. | Ed., Anonymous | Total Issues: 117. According to US Copyright law (Title 17, US Code), these items are now in the Public Domain, since their original copyrights—if any were ever registered—were not renewed after 28 years (Copyright Office, Circ. 15a, "Duration of Copyright"). In countries outside the United States, however, copyright restrictions may still apply, although that is unlikely. If you or anyone you know owns the copyright to any of the materials included here, please contact us.